Four years in the making, the new Lordstown Energy Center stands as an example of how advanced technology is reshaping the industrial landscape of the Mahoning Valley, officials say. Dignan was among a host of community leaders and media invited to an open house Wednesday at the Lordstown Energy Center – a $1 billion combined cycle electrical generation plant that began operations earlier this month. Representatives from Trumbull County, the village of Lordstown, the Lordstown School District, and the chamber were provided with an up-close look at a project that has taken at least four years to reach this stage. You can continue the article by clicking here. The state says in a new court filing the injection well it closed on state Route 169 just north of Niles could reopen if the Howland-based company that owns it would devise a comprehensive plan. The filing tells the Ohio Supreme Court that it should refuse to hear the appeal American Water Management Services requested recently because the case is “routine” and does not present any issues of statewide interest. The closings led to appeals to a state commission, a Franklin County Common Pleas Court judge, then the 10th District Court of Appeals in Columbus, which affirmed the state’s position. 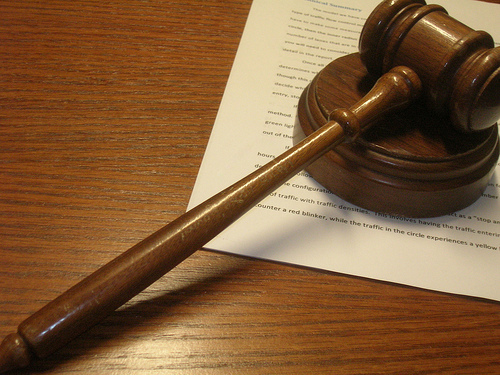 The Franklin County judge, who supported AWMS’s position, proposed a restart plan that did not include “risk minimization procedures,” the filing notes. The Appalachian Basin’s Utica Shale holds great potential, according to XTO Energy’s Andree Griffin. Speaking to roughly 900 attendees Wednesday at the Shale Insight 2018 conference in Pittsburgh, Pa., at the Shale Insight 2018 conference. Griffin, XTO’s vice president, Geology and Geophysics, is a big believer in the Utica, found mostly in eastern Ohio, Kallanish Energy reports. “Do not underestimate the potential of the Utica Shale,” she told the audience. What’s happening there is “staggering and very exciting,” she added. It is a shale play where the surface has barely been scratched, she said. The eighth annual Shale Insight conference was presented the Marcellus Shale Coalition, the Ohio Oil and Gas Association and the West Virginia Oil and Natural Gas Association. The gassy Utica Shale is newer in terms of production and smaller than the neighboring Marcellus Shale and it's generally lumped together with the Marcellus Shale in reports. Nexus Gas Transmission on Wednesday was granted Federal Energy Regulatory Commission approval to begin flowing natural gas on the 255-mile Nexus line, which crosses northern Ohio bound for southern Michigan. FERC granted Nexus’ Sept. 17 request for permission to start using the 36-inch line, a related compressor station and metering facilities. Nexus has committed to completing restoration as close to Oct. 31 as possible, according to the FERC letter, reviewed by Kallanish Energy. FERC’s decision means Nexus can ship roughly 1 billion cubic feet per day (Bcf/d) of natural gas, representing nearly two-thirds of the pipeline’s 1.5 Bcf/d capacity. Nexus has said it would submit separate requests to operate other parts of the pipeline. In a filing with the U.S. Federal Energy Regulatory Commission (FERC), Enbridge asked to place into service the Wadsworth compressor station in Medina County, Ohio, and the Clyde compressor station in Sandusky County, Ohio. The company said it mechanically completed both stations last week. NEXUS is one of several gas pipelines designed to connect growing output in the Marcellus and Utica shale basins in Pennsylvania, West Virginia and Ohio with customers in other parts of the United States and Canada. Earlier in October, FERC allowed Enbridge to put facilities into service that would enable the pipeline to transport about 0.97 billion cubic feet per day (bcfd). Once the 255-mile (410-km) NEXUS project is fully in service, it will be able to carry up to 1.5 bcfd of gas from the Marcellus and Utica shale fields to the U.S. Midwest and Gulf Coast and Ontario in Canada. Net production during the third quarter of 2018 averaged 1,427.5 MMcfe per day, a 7% increase over the second quarter of 2018 and 19% increase versus the third quarter of 2017. Realized natural gas price for the third quarter of 2018, before the impact of derivatives and including transportation costs, averaged $2.32 per Mcf, a $0.58 per Mcf differential to the average trade month NYMEX settled price. Realized oil price for the third quarter of 2018, before the impact of derivatives and including transportation costs, averaged $68.73 per barrel, a $0.77 per barrel differential to the average WTI oil price. Realized natural gas liquids price for the third quarter of 2018, before the impact of derivatives and including transportation costs, averaged $0.74 per gallon, equivalent to $31.18 per barrel, or approximately 45% of the average WTI oil price. Realized natural gas price for the nine-months ended September 30, 2018, before the impact of derivatives and including transportation costs, averaged $2.30 per Mcf, a $0.59 per Mcf differential to the average trade month NYMEX settled price. Realized oil price for the nine-months ended September 30, 2018, before the impact of derivatives and including transportation costs, averaged $64.96 per barrel, a $1.83 per barrel differential to the average WTI oil price. Realized natural gas liquids price for the nine-months ended September 30, 2018, before the impact of derivatives and including transportation costs, averaged $0.72 per gallon, equivalent to $30.30 per barrel, or approximately 45% of the average WTI oil price. Gulfport turned-to-sales 11 gross and net operated wells in the Utica Shale and 7 gross (5.4 net) operated wells in the SCOOP during the third quarter of 2018. Area business leaders met on Tuesday evening at the Ohio Valley Mall to discuss the possibility of a new ethane cracker plant coming to the area. Last week, three Belmont County Commissioners were in Potter Township, Pennsylvania to visit the Shell Chemicals ethane cracker plant site. She hoped to provide insight into what an ethane cracker plant could do for the Ohio Valley. "This meeting is just giving this group of people a taste of what we need to do in the near future and be proactive and prepared for what's about to happen," said Exec Director of Belmont County Tourism Barb Ballint who organized the meeting. Officials said there is no set date for an announcement of whether the cracker will be built or not. However, they said that if so, it will be revealed by the end of the year. Enrollment in the Utica Shale Academy is increasing, members of the governing board of the Jefferson County Educational Service Center board learned Wednesday. Tony Delboccio, principal of the Salineville campus, said enrollment is up at the academy’s locations in Salineville and Columbiana. Delboccio reported the enrollment in the schools is up to 49 students at the Salineville campus and 14 at the Columbiana campus. He said the school now is providing the students with lunches. “They were spending $20 at the vending machines and it was taking away from instruction time,” Delboccio said. He also told the board there is more than $55,000 worth of rollover funds that can be used for the new school year. Future job creation and a large investment in the economy are expected to stem from the natural gas boom in Eastern Ohio. That was part of the message shared Thursday when more than 100 people gathered at Belmont College to learn about the status of the Utica Shale play in Ohio. The St. Clairsville Area Chamber of Commerce worked with the Columbus-based Ohio Oil and Gas Association to coordinate the event, which also featured speakers from the Ohio Gas Association and the American Petroleum Institute — Ohio, Ascent Resources and EQT Corp. Those industry insiders addressed a large crowd in the newly renovated Horizon Hall in a Lunch and Learn format. Mike Chadsey, public relations director for OOGA, educated the audience on the history of oil and gas development in the Buckeye State. While the first successful drilling operation got underway in Pennsylvania in the mid-19th century, Chadsey said oil was first discovered in Ohio in 1814 in Noble County near present-day Caldwell. He added that during the “Rockefeller days,”referring to Standard Oil founder John D. Rockefeller, Ohio was the world’s largest crude oil producer. Shell Appalachia’s “cracker plant” in western Pennsylvania is years away from making plastic pellets, but thousands of workers are busy building the $6 billion project. Michael Marr, Shell Appalachia’s business integration lead, gave his first presentation on the Pennsylvania Chemicals Project to an Ohio audience at Utica Summit VI presented Wednesday by the Canton Regional Chamber of Commerce and ShaleDirectories.com at Walsh University. Shell is building its Pennsylvania Chemicals Project on the site of a former zinc smelter next to the Ohio River in Beaver County. Shell chose to build the plant about 30 miles northwest of Pittsburgh because the site is close to ethane-producing Marcellus Shale wells and is within 700 miles of 70 percent of the North American market for polyethylene pellets. The plant consists of a cracker that uses heat and pressure to turn ethane into ethylene. Three other units then turn the ethane into polyethylene resin that other companies use to make packaging, film, pipe and other goods. Shell exercised its option on the property in 2015 and had to move 7.2 million cubic yards of dirt to prepare the site. Nuverra Environmental Solutions, Inc. (NYSE American: NES) today announced it has acquired Clearwater Solutions, a leading operator of saltwater disposal wells (SWDs) in the Marcellus and Utica Shale areas, for $41.9 million, subject to customary purchase price adjustments. This purchase more than doubles Nuverra’s SWD capacity in the region and will add value for each of its customers with more strategically located disposal capacity. Clearwater’s disposal wells at the Clearwater Three and Clearwater Five locations offer several offloading lanes and disposal capacity of 17,500 barrels per day. Its locations are in Guernsey County, Ohio, which is in the heart of the regional oil and gas activity. In connection with this transaction, Nuverra’s two largest shareholders have provided financing of $32.5 million in the form of a bridge loan that will be repaid with proceeds from a planned offering to shareholders of common stock purchase rights. The rights offering will be made available to all shareholders on a pro rata basis and bridge loan lenders have committed to purchase the shares underlying any rights that are not exercised by other holders. In addition, the Company amended its first lien term loan to extend its maturity and received an additional $10 million of term loan proceeds that funded a portion of the Clearwater purchase price and made various other modifications to give the Company additional flexibility. 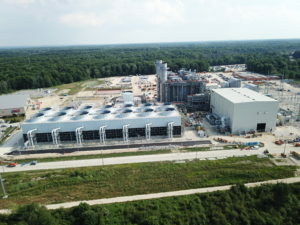 Lordstown Energy Center (LEC), a 940-megawatt, gas-fueled electricity generation plant, announced today that it has begun commercial operation. 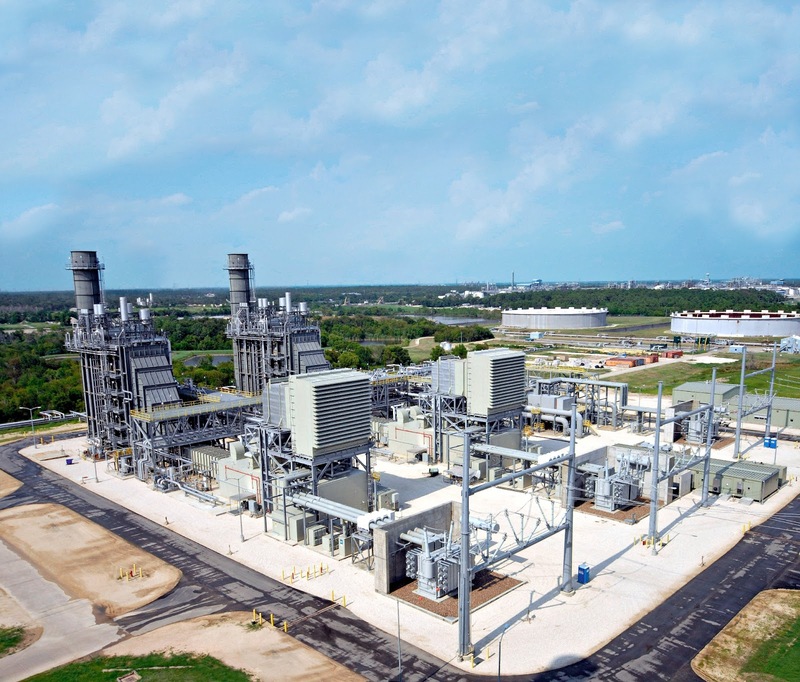 LEC uses locally sourced natural gas to generate safe, clean and efficient energy that serves approximately 850,000 households. Read the rest of this release by clicking here. Reliable One Resources, Inc., a provider of innovative water disposal and water recycling services, today announced the purchase of an existing, operating, water disposal and injection facility in Athens County, Ohio, a key milestone in the company’s strategy to collect and treat produced and flowback water for oil and gas operators throughout the United States. The purchase was made by Reliable One’s wholly-owned Reliable Enterprises, Inc. subsidiary, which does business in the state as Reliable Enterprises Ohio, Inc. The Athens County facility has current contracts with oil and gas producers and water haulers in the Marcellus Shale region. As a result, an existing supply of water is already committed to the site, and operations at the facility will be maintained throughout the ownership change. Existing management has agreed to stay on to ensure a seamless transition with uninterrupted operations at the site. The location of the facility is considered ideal due to its proximity to operators in the Marcellus Shale as well as those in the Utica Shale and adjoining oil and gas producing areas. Near-term plans for the facility include expanding water storage with the installation of additional tanks, which is projected to increase capacity by 30%, followed by the drilling of a second well that will allow for even faster processing of incoming water supplies. The company’s broader operational plan includes securing larger amounts of produced and flowback water for delivery to the Athens County facility as well as for processing at Reliable One’s future water recycling facility in the Marcellus region. To that end, Reliable One also expects to complete the pending purchase of multiple trucking companies that currently haul produced and flowback water from Marcellus-area oil and gas operations. A final investment decision multibillion-dollar second ethane cracker being considered on the site of a former Ohio power plant south of Pittsburgh could be delayed until after the first of the year. Word earlier this year was that the PTT Global Chemicals and Daelim ethane cracker, which would be similiar in size to the one that Shell Chemicals is building in Monaca, would give the go-ahead by the end of 2018. But now sources in the industry say it could be pushed back into 2019 not for any reason related to whether the project would go ahead but instead due to the complexity of the decision. Shell Chemicals took years of prep work, acquisition of land, demolition and literally moving a hill and a road in Beaver County before it decided in June 2016 to go ahead with the ethane cracker. PTT, a Thailand-based chemical company, is further back on the timeline because it got started years later. PTT’s site, along the Ohio River, is at a former American Electric Power plant in Belmont County, Ohio, just across the river from Moundsville, West Virginia. The site has been demolished and cleared although construction is awaiting the FID, final investment decision. A decision has been delayed in the past. Click here to read more of that article. After multiple delays, this story is beginning to reach "wake me up when they make a decision" status. Efforts are on course now for a March groundbreaking for work on the planned Guernsey Power Station, said Norm Blanchard, executive director of the Cambridge-Guernsey County Community Improvement Corporation. Blanchard conferred on Monday morning with Mary and Michael King who are spearheading the power plant development efforts. 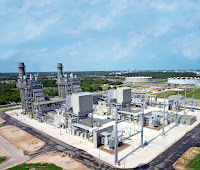 The plant is expected to produce 1,650 megawatts of electricity, which would be enough to power about 1.5 million homes. The timetable for beginning work on the project has been moved back several times. That has happened because of the many variables with which the Kings have had to contend. Each power plant project entails its own unique challenges. For the Guernsey Power Station, that challenge has been simply its unexpected complexity. Factors that had to be faced included the site’s proximity to Interstate 77, environmental matters because of the wetlands designation on the planned site and the fact that the area — like much of Guernsey County — sits atop a honeycomb of old, abandoned coal mines. The Ohio Supreme Court denied a request Friday to force the Lucas County Board of Elections to place a Lake Erie Bill of Rights initiative on the November ballot. Last month, Toledoans for Safe Water filed a lawsuit with the court against the elections board for denying the group’s request to have its proposed measure on the ballot that calls for a vote to amend the Toledo City Charter and declare the Lake Erie watershed has legal rights to “exist and flourish.” It also proposes the world’s 11th largest body of water be given rights as an ecosystem that citizens would be legally entitled to defend. The Supreme Court found the Toledoans for Safe Water failed to show the elections board abused discretion or disregarded the law by rejecting their petition. Assistant county prosecutor Kevin Pituch, who represented the elections board, said in an email Friday he is pleased with the decision. He previously argued the Lake Erie group’s proposal went beyond the scope of what city law could enforce. In the Summer and Fall of 2016, EQT drilled six Marcellus Shale wells on a well pad located on an adjacent farm. The horizontal lateral “legs” of those wells extended beneath the Richards property. “When we received the first royalty checks from the new horizontal wells in January, 2017, and I was shocked to see how much EQT had taken from us in the deductions,” stated Mr. Richards. In addition to a sizeable increase in their royalty payments from the Marcellus Shale wells, the Richardses discovered something very troubling. In violation of the terms of the 1951 leases, EQT had taken large deductions from their gas royalty payments. Those royalty deductions had been taken to offset the costs of the natural resources severance taxes which the State of West Virginia charged EQT as a producer of oil and gas on both the old vertical wells and the new horizontal shale wells. The corporation had also taken deductions to offset post-production costs on the horizontal shale wells for gathering and moving the natural gas to the interstate pipeline. According to EQT, those costs were incurred among the several EQT subsidiary companies, and then “charged back” to the individual mineral owners in the form of a reduced price for the natural gas. Testimony and documents presented at trial from EQT showed it took deductions for expenses from the time the “wet” shale gas left the wellhead near the community of Pullman until it entered the interstate pipeline. Those deductions included transportation to the MarkWest plant located thirty miles away in Doddridge County, where the natural gas liquids were separated from the methane. In the meantime EQT continued taking the unauthorized deductions from the Richardses’ royalty payments. By the time of trial, EQT had withheld $42,541 in severance taxes, and $191,999 in improper post-production costs from them. Jeff Lukas, who handles business development for IML, said the company needed a central location close to one of its larger customers, Land O’ Lakes. IML was shipping containers from facilities in Iowa and Quebec, and needed a location where it could add production. “We needed something in between,” Lukas said. The Canton area met the location requirement, and shipping logistics are easier because of the region’s highway system, Lukas said. Additionally, Ohio proved to be a business-friendly state, Lukas said. Ray Hexamer, president of the Stark Economic Development Board, said the agency worked with Team Northeast Ohio and JobsOhio to develop an incentive package for IML. The Ohio Tax Credit Authority reviewed the proposal and during a meeting on Monday approved a 1.129 percent, seven-year job creation tax credit for the company. Plans are for IML Containers of Ohio to provide research and development, die cutting, molding, production and warehousing for packaging use with a variety of food products.